While the majority of patients will have a smartphone and/or tablet, there may be a few that do not. 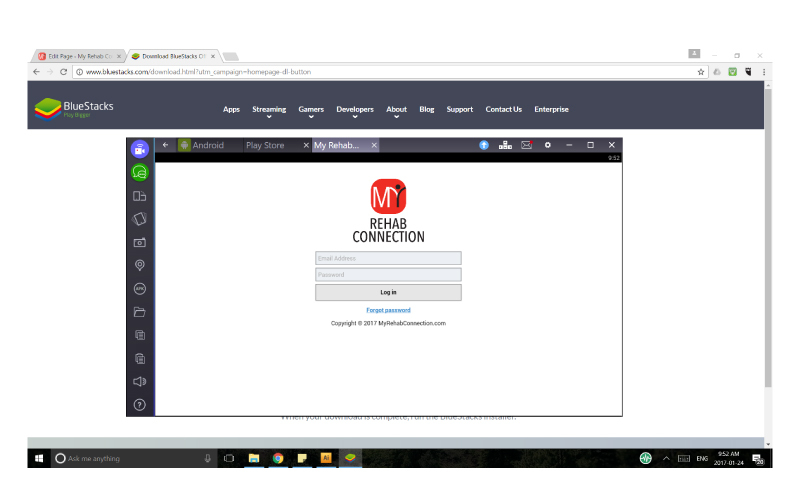 These patients can still use the My Rehab Connection app on any laptop or desktop by using a app emulator program. 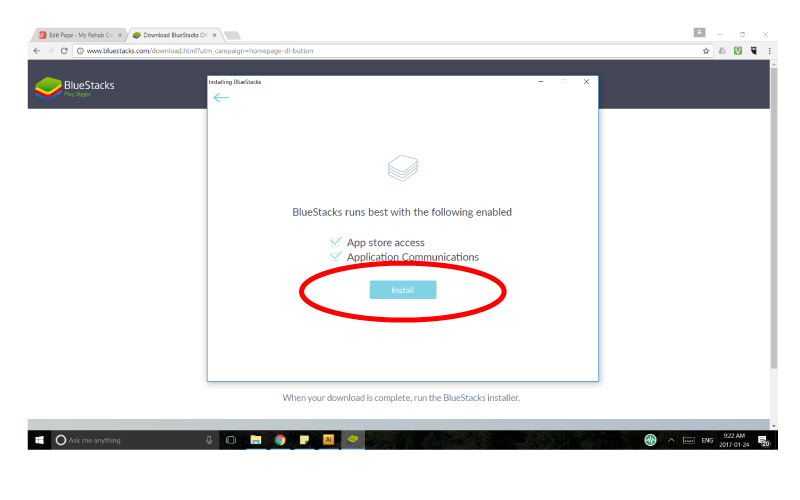 There are a number of options, but the program we have found the easiest to use is a program called Bluestacks. This is a free program that can be downloaded to any PC or Mac computer. Below are the step-by-step instructions. Click here for a PDF version. Click Finish. 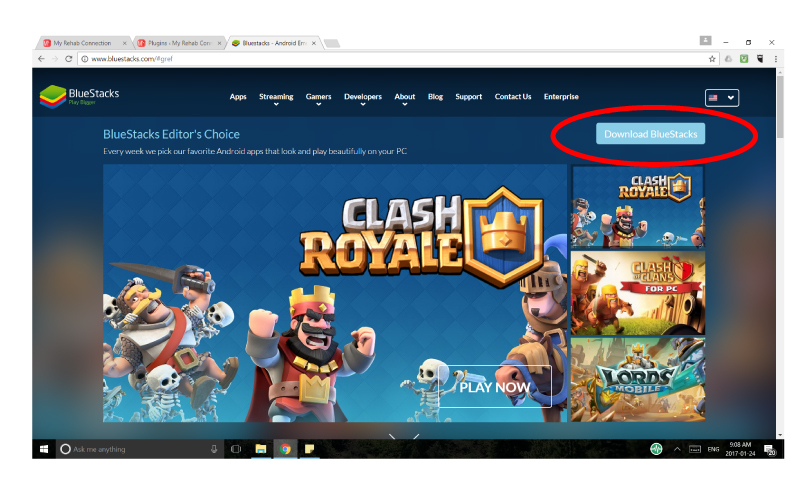 The Bluestacks program should start automatically. 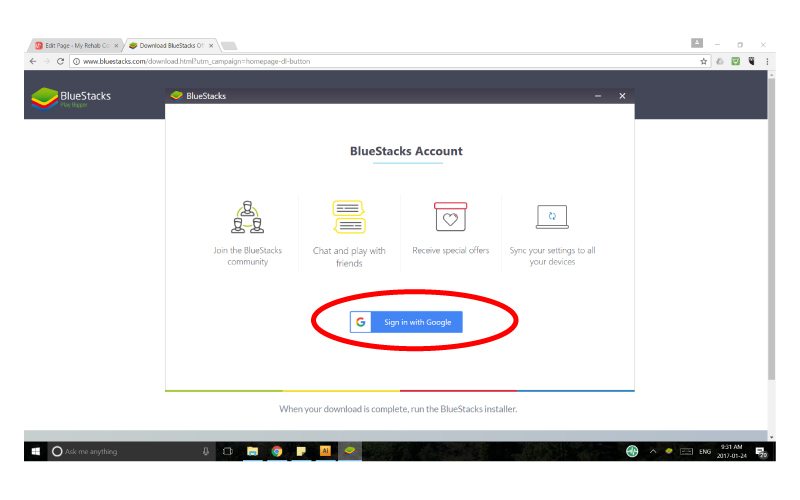 After signing in to Bluestacks you will be promoted to sign in again Using your Google ID ( the Bluestacks program basically mimics the use of a tablet on your computer, the first sign in is int Bluestacks, the second is as if you are signing into your tablet – not a real tablet, this is a simulator). From here you will be takes through a few set up screens. At one point you will be given the option of putting in payment information. You can skip the step. No payment information is needed to use the My Rehab Connection app. It is Free. 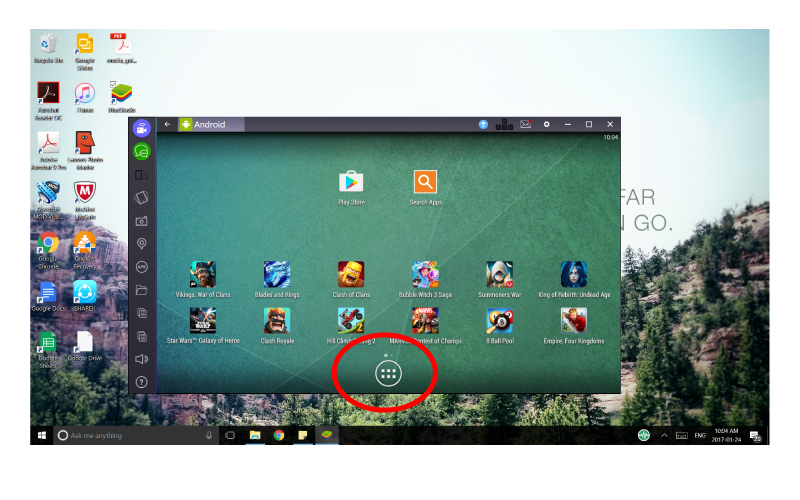 After this sign in process you will see the Bluestacks player. From here you access the My Rehab Connection app. 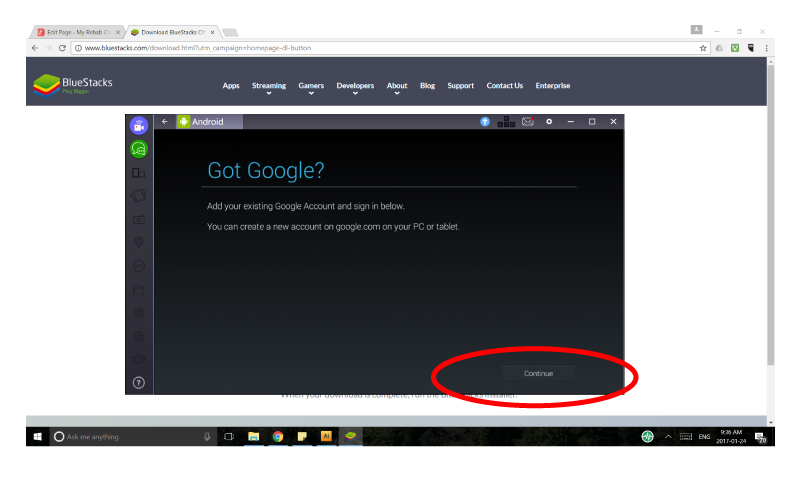 Simply click on the “Google Play” icon. Type “My Rehab Connection” into the search bar. 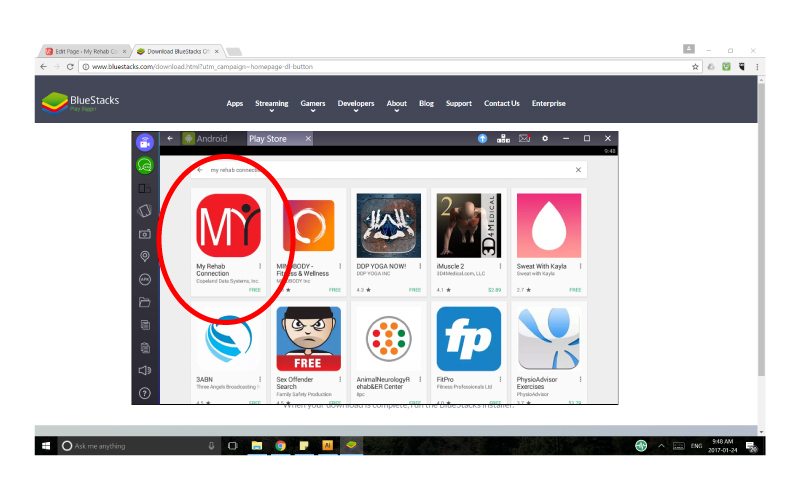 Then click on the My Rehab Connection app to get the app into your Bluestacks program/player. 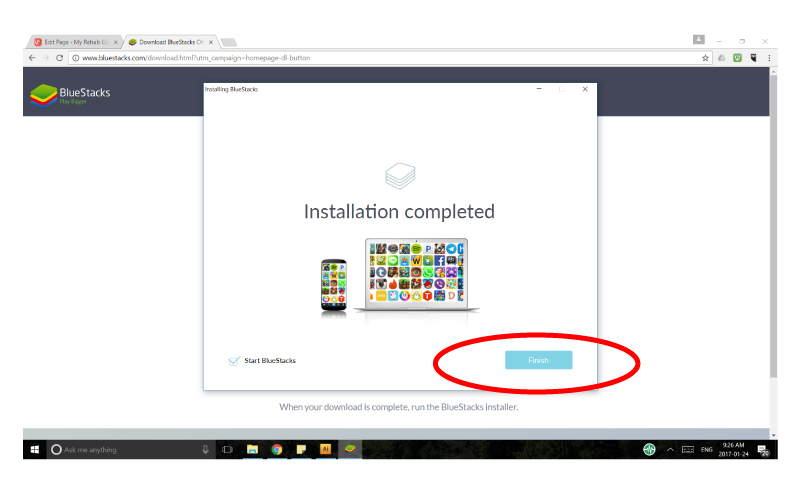 From here you first “Install”, then “Open” the app. When the app opens you will see another sign-in screen. This is to sign-into the My Rehab Connection app. This sign-in in information is provided by your health care practitioner. You should have also received a welcome email with your sign-in information from your practitioner. You should now see the app home screen. From here you can access all the features of the My Rehab Connection app, including viewing your exercise program. To navigate with in the app, if your computer does not have a touchscreen, you can use the arrow keys to scroll up and down on the app screens. To watch videos, select the option to play video through “photos”. 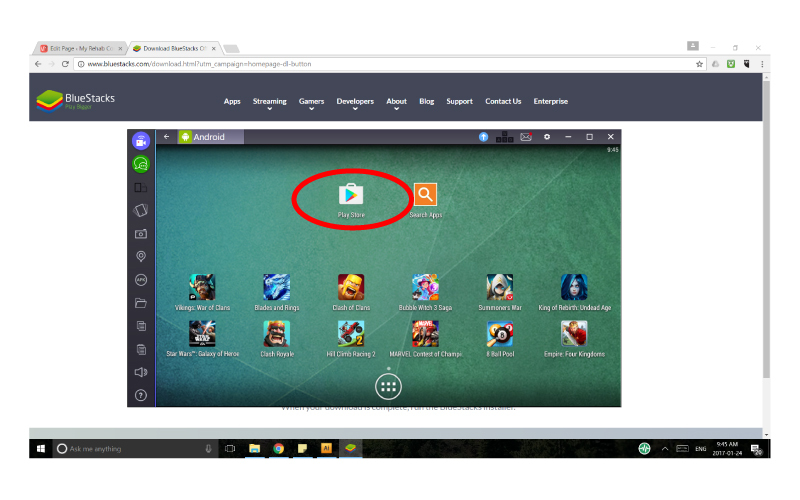 Each time you open the Bluestacks program you will see a home screen that mimics a typical home screen seen on an android device. To access the My Rehab Connection app just click the icon at the bottom of the screen. This will display the apps. Just click the My Rehab Connection icon to open the app.